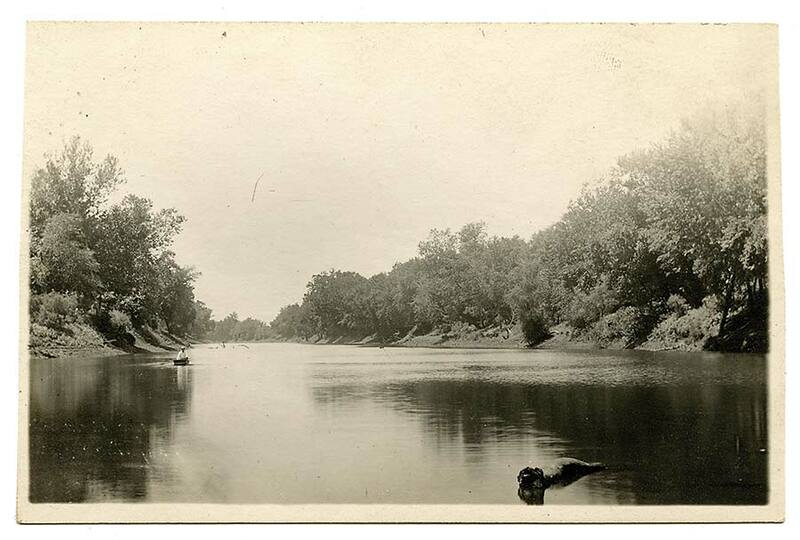 Every week we post an unpublished image that relates to the Osage River, its ecology, history and development. None of these have been used in Damming the Osage, but they relate to the themes of the book. A brief caption identifies the location and our thoughts on its significance and meaning. Feel free to use these images for personal use if you credit “Collection of Leland and Crystal Payton.” For commercial use, email us for details and a modest fee for a higher resolution image. We have thousands of historic photographs and brochures as well as our own contemporary photos. If you have comments or additional information on these images please use the form below. If you would like to receive email notifications of the Vintage Image of the Week, please provide us with your email. Fantastic! I love old photos like this. I’ve been going through my grandparents’ albums for the past few months. They have lots of nice creek shots too, but unfortunately they’re unlabeled. If I had to guess, I’d say it was probably the Gasconade and/or the Big Piney rivers. If I find one from the Osage, I’ll send it your way! If you know that location or date or any specific information about who took the photo … make a note (writing lightly in pencil) on the back of the photo. It’s so sad to see unidentified photos in boxes in antique shops. Without those little bits of information we can only guess why some anonymous person took a picture of a place….